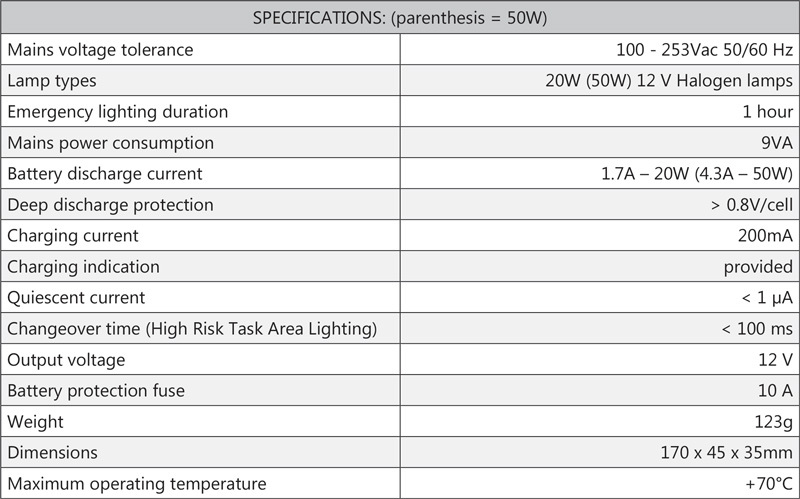 lamp or LED for an emergency lighting duration of maximum of one hour. 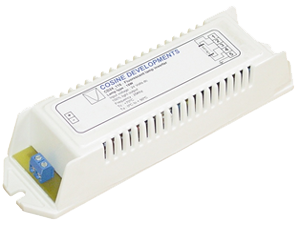 The unit can be used in maintained mode (where the normal low voltage supply, fixed or dimming, is routed through the unit). A battery pack of 10 x 2Ahr is required for a 20 W lamp. A battery pack of 10 x 4Ahr is required for a 50 W lamp. Please note that there is a 12V Lead-acid version available. The unit plus batteries may also be supplied in a remote enclosure.